The decision to place a loved one in a nursing home is often a very difficult and stressful time for most families, and it is typically a complete shock when the place entrusted to care for an elderly individual has failed to provide the expected level of care. In some cases, negligent care has resulted in severe injuries or even the death of a loved one. People should report any suspected abuse to state agencies as soon as possible. While these agencies can take the appropriate disciplinary measures, justice may not always be swift. Many nursing homes will deny any liability for accidents in nursing homes causing injuries. The residents themselves are often accused of having been at fault with their old age being the supposed cause of their injuries. Were you or your loved one abused or neglected in a nursing home? Do not wait to seek legal representation for assistance in holding the negligent nursing home accountable. CHASENBOSCOLO can work to make sure that you get every last dollar of compensation you are entitled to. You can have our Virginia nursing home abuse attorneys discuss your rights as soon as you call (703) 538-1138 or contact us online to schedule a free consultation. You can attempt to handle your complaint on your own with a nursing home, but you can probably expect to deal with a lot of delays during their own investigation of your complaint. Most nursing homes are reluctant to take any meaningful measures other than some minor discipline of certain employees. One of the biggest reasons you will want an attorney is if you happen to be contacted by an insurance company handling your case. The insurer is usually representing the nursing home and is expected to try to settle your case for as little as possible. An insurance company may quickly offer you a settlement that it will then aggressively pressure you into accepting. You should know that the settlement you are being offered is very likely much less than what you are entitled to. CHASENBOSCOLO can immediately step in and handle settlement negotiations on your behalf. We can make sure that you do not have to deal with any type of intimidation. CHASENBOSCOLO has recovered hundreds of millions of dollars for thousands of people. We were founded in 1986 with the philosophy of taking care of the client first, and we now have a team of 25 attorneys and more than 90 professionals available 24 hours a day, seven days a week. Barry M. Chasen and Benjamin T. Boscolo have both been awarded AV Preeminent ratings by Martindale-Hubbell. 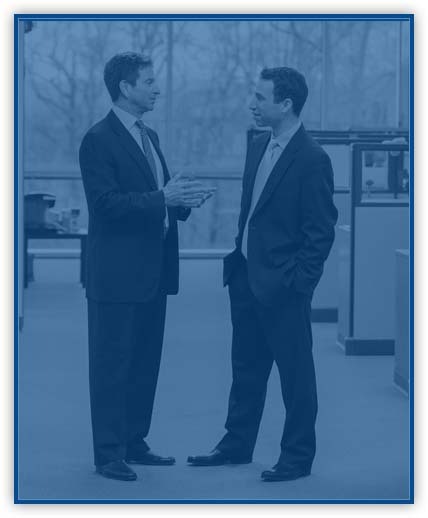 Mr. Chasen and Mr. Boscolo each have more than 30 years of legal experience. CHASENBOSCOLO is well aware that many people do not reach out for legal help because of concerns about money. You should know that our firm provides legal representation under the No Fee Guarantee®, which means that you only pay when you receive a financial award. We will negotiate a fair and full settlement. When there is not an acceptable settlement offer, CHASENBOSCOLO will not hesitate to file a lawsuit. Physical Abuse — Residents of nursing homes who are assaulted or mishandled by nursing home staff may sustain traumatic brain injuries (TBIs), spinal cord injuries, internal bleeding, fractures, lacerations, or sprains. Common signs of physical abuse include unexplained cuts, bruises, or broken glasses. Sexual Abuse — Any sexually-transmitted disease (STD) is usually a sign of sexual abuse. Other signs include bleeding, bruising, or infections in genital areas. Psychological Abuse — Nursing home staff members may engage in targeted verbal abuse or harassment, but ignoring residents is also emotional abuse. It can be more difficult for family members to identify signs of psychological abuse, but fear of certain staff members or a suddenly more reclusive nature can be signs of abuse. Neglect — When nursing home staff does not provide the suitable level of care, residents can be more likely to take improper medications, be injured in falls, or face other dangers. Malnutrition or dirty clothing and unclean living conditions are common signs of neglect. Financial Abuse — A resident’s financial accounts could be exploited by staff members who gain access, possibly with the permission of the residents. People should look for any unexplained large cash withdrawals, changes to estate planning documents, or perhaps forged signatures on financial transactions. You will want to make sure that you contact an attorney as soon as possible for help investigating nursing home abuse. While nursing homes are often quick to blame injuries on symptoms of advanced age, a lawyer can find the actual cause of injuries and pursue the appropriate legal action. Persons licensed as health care practitioners must report by law to the Virginia Department of Social Services or the local departments of social services any known or suspected incidences of abuse, neglect, or exploitation of children or elderly and incapacitated adults. Reports can often be filed with multiple agencies. You can contact Adult Protective Services (APS) within the Virginia Department of Social Services. You can also contact the Virginia Division of Aging and the State Long-Term Care Ombudsman. A Medicaid agency or fraud unit should also be contacted in certain cases. Bedsores, or pressure ulcers, usually occur in stages that the United States National Library of Medicine (NLM) classifies as follows. In Stage I, there is pain and skin redness, Stage II involves open sores or blisters, Stage III involves “craters,” or depths in which tissue below the skin has been damaged, and Stage IV involves a bedsore so deep that muscle and bone are damaged. An advance directive is a written statement of a person’s wishes concerning their medical treatment made while the person is medically competent. The advance directive can specify treatment they want or do not wish to receive in the event they are unable to communicate their wishes for any reason. Federal law requires hospitals, nursing homes, and other health care facilities to inform patients or residents about advance directives, but these individuals are not required to have one. The Virginia Department of Health has a Virginia Advanced Directive for Health Care form. The law requires nursing facilities to listen to family council concerns and take action when there are complaints or concerns about policies that affect residents’ well-being. The Virginia Gazette reported in December 2017 that 72 of the 290 nursing homes in Virginia have faced over $4.7 million in penalties since 2014. Montvue Nursing Home in Luray had more than $600,000 in fines, Cherrydale Health and Rehabilitation Center in Arlington had nearly $240,000 in fines, and Harrisonburg Health & Rehabilitation Center in Harrisonburg had over $192,000 in fines, and the three nursing homes accounted for 22 percent of the total fines in the state. The Gazette reported that 116 nursing homes were cited on 176 counts for failing to either hire only people with no history of abusing, neglecting, or mistreating residents, or report and investigate any acts or reports of abuse, neglect or mistreatment of residents. One Richmond nursing home had been cited for the infraction seven times since July 2015. The Journals of Gerontology Series B, Psychological Sciences and Social Sciences published a study that found that victims of nursing home abuse most frequently reported verbal mistreatment (9 percent), financial mistreatment (3.5 percent), and physical mistreatment (less than 1 percent). The National Center on Elder Abuse (NCEA) reported that nearly one in three nursing homes in the United States were cited for violations of federal standards that had potential to cause harm or that had caused actual harm to a resident. According to a 2001 U.S. House of Representatives Report, almost one out of 10 homes had violations that caused residents harm, serious injury, or placed them in jeopardy of death. A study cited in an NCEA research brief on abuse of residents of long-term care facilities found 30 percent of adults with disabilities who used personal assistance service (PAS) for support of activities of daily living reported one or more types of mistreatment by their primary provider. The brief also stated that 2011 Bureau of Justice Statistics showed the age-adjusted, serious violent crime victimization rate for persons with disabilities in 2010 was triple the rate for those without disabilities. National Ombudsman Reporting System (NORS) data showed 14,258 of approximately 188,599 complaints reported to Ombudsman programs involved abuse, gross neglect, or exploitation in 2014. If your loved one sustained severe injuries or was killed because of nursing home abuse in Virginia, you deserve to get answers and justice. Make sure that you quickly contact an experienced nursing home abuse lawyer. CHASENBOSCOLO can work to make sure that a negligent nursing home is held fully accountable and that your loved one gets the justice that they deserve. Call (703) 538-1138 or contact us online to take advantage of a free consultation.